Set near Esporles, in the midst of the Tramuntana Mountains, this enchanting cottage with pool and garden offers a second home to 5 guests. Find peace and calm in this beautiful house for 10 people, surrounded by nature in Port des Canonge. 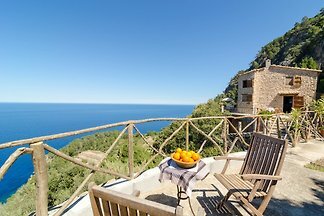 In Port des Canonge, in the midst of the magical Tramuntana Mountains, this chalet welcomes 6 people. Majorcan house with bags of character on the outskirts of Valldemossa. It features a private pool and mountain views and can comfortably accommodate 8 people. Set near the idyllic town Banyalbufar, in the midst of the mountains, this lovely property offers a second home for 5 people. 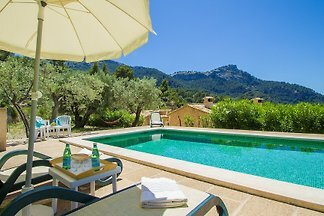 Wonderful majorcan style house at Valldemossa center with a private swimming pool, where 12 guests will feel like at home. Superb Villa with a mountains & partially sea view, located on the enchanting west coast of Mallorca. Spectacular 2-storey home located in the countryside of Son Sardina, Palma. Welcome to this high quality luxury oasis for 12 guests which includes a private pool and gym area, very close to the golf course in the peaceful urbanisation of Son Xigala. Set at the foot of the Tramuntana Mountains, near Bunyola, this villa with private pool offers accommodation to 6 people. Enjoy this awesome villa located in the urbanization Sa Coma, in Bunyola, where you will have the comfort and peace to make your holidays an unforgettable experience. Magnificent villa with pool on the outskirts of Palma de Mallorca and it can accomodate 6 guests. 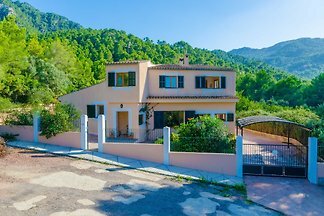 Welcome to this gorgeous house with a swimming pool and views to the mountains, located at a quiet residential area at Marratxí outskirts, where 8 guests will feel like at home. Rent successfully your holiday flat or holiday home in Esporles in only 20 minutes !